We have an exciting opportunity for an RVN to work out of hours at a 7 vet Tier 2 practice in Woking. You will receive a competitive salary and great benefits package, plus a fantastic rota which will entitle you to a great work/life balance. We are currently looking for an enthusiastic RVN to join a well equipped, busy practice in Woking, Surrey. You will benefit from a great work life balance, generous salary, plus benefits. A friendly practice are currently seeking an enthusiastic Registered Veterinary Nurse to join a team of RCVS, you will be based in Oxted. The ideal candidate will be a great team player and will have previous experience. We are looking for a RVN to help with a weekend rota at a busy practice in Guildford. The ideal candidate will be enthusiastic, a great team player and will have previous experience. A busy Hospital have an exciting new opportunity for a motivated RVN who is passionate about working to excellent standards and assisting to lead a nursing team as a new deputy head nurse in Surrey. We are looking for an enthusiastic vet to join a busy practice in Woking, Surrey. The practice are expanding and require a vet to work a 2 to 4 day week to include Saturday and Sunday. A confident & caring vet surgeon is required for weekend cover for a multi-site practice in the Guildford area. We are looking for an experienced veterinary surgeon to join a busy hospital based in Surrey. The Hospital offer excellent modern facilities and equipment, support from an experienced team and a flexible rota giving a good work-life balance. We are currently looking for a Veterinary Surgeon to join a practice based in Surrey. You will benefit from a great rota that will work around the work/life balance you desire. We are looking for an enthusiastic vet to join a busy practice that has been growing over the past few years you will be based in a beautiful part of Surrey. The ideal candidate will be dedicated to their clients and caring for their patients, have great team ethic and will help to continue the success of the practice. Full time Vet Surgeon required for a sole charge, busy, established clinic in the small village of Fetcham, Surrey. Your new role will involve a good work/life balance, competitive salary and other great benefits. A lovely veterinary practice based in the pretty Surrey village of East Horsley is looking for a Vet Surgeon to join their small animal team. Generous rota, competitive salary and benefits package is on offer for this role. We require a full-time veterinary surgeon to join a 6 vet Tier 2 practice in Woking. The ideal candidate should have excellent communication skills, be hard working, care about having a good rapport with clients and staff and will be dedicated to providing a high standard of patient care. We have a new opportunity for a Night Vet to join a busy 24 hour Practice in Sutton. The practice has a well-established client base, is well equipped with separate dog and cat waiting areas and has a fantastic working team. An opportunity for a Clinical Director to join a well established practice in Surrey has arisen. You will ideally be an experienced small animal and equine veterinary surgeon who will share the leadership of the current practice. It is essential that you have a high level of clinical care to patients and clients and are a confident clinician. Previous experience in human resources and team management would be an advantage but no essential. A great rota, competitive salary plus benefits is on offer. We have a new and exciting opportunity for a confident & caring vet surgeon for weekend cover for an 8 practice surgery in the Surrey area. We have a great opportunity for an enthusiastic, client-focused vet, who is looking for a new challenge. The practice is based in the area of Surrey and are looking for someone dedicated to support and continue the current success of the practice. We have a great opportunity for a full time Vet Surgeon required at a sole charge, busy, established clinic in a small village practice in Surrey. We have an exciting opportunity for an enthusiastic vet to join a team in Surrey who are expanding and require a vet to work a 2 to 4 day week this will include Saturday and Sunday. We have an exciting opportunity at a lovely veterinary practice based in Surrey who are looking for a Vet Surgeon to join their small animal team. We have a new and exciting opportunity for a full-time veterinary surgeon to join a 6 vet Tier 2 practice in Woking. The ideal candidate should have excellent communication skills. We have an exciting opportunity for an enthusiastic RVN to join a friendly practice based in the Surrey area. 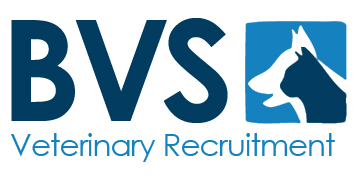 We have an exciting opportunity for an enthusiastic RVN to join a group consisting of RCVS. We have a new and exciting opportunity for an enthusiastic RVN to help a clinic with their weekend rota in the Guildford area. A new position has arisen at one of our practices for an RVN to work out of hours in our 7 vet Tier 2 practice in Woking. An independent Small Animal Veterinary practice providing an excellent standard of healthcare, is looking to expand their team. The practice provides a variety of services including orthopaedic surgery. We are looking for someone who is enthusiastic and that has a good level of experience. For more information, please contact Sam on 07776213483 or email sam@bvsvets.co.uk. Small, independent practice seeking a new member of their team in Lingfield. No oohs - 1:4 weekends - mix of early and late starts. The practice has all the facilities and equipment you would need to treat a variety of cases. Lovely, friendly team looking for a confident RVN to join their large team of nurses. This is a fantastic well equipped hospital, with plenty of variety. Good career development and salary package. You will have excellent all round nursing skills and the ability to work well in a team. An excellent opportunity has arisen for a experienced and dynamic vet, looking to join a growing practice. 1:7 weekends and 1:7 sats - time of in lieu given the following week - no oohs. This is a brilliant opportunity for a passionate RVN to join a fantastic new practice in Surrey. The team are extremely welcoming and the practice is well equipped with state of the art equipment. The ideal candidate will have at least 1 years small animal experience and a compassionate bedside manner. You will be rewarded with a handsome and competitive salary alongside generous annual leave, CPD funding and paid RCVS and VDS fees. Not quite what you had in mind? We have a number of positions available across the UK and welcome you to get in touch!  A wonderful Surrey practice are looking for a talented RVN to join their lovely team. The practice will require some sole charge and will offer access to brilliant facilities at a nearby Hospital. Not quite what you had in mind? We have a number of positions available across the UK for vets and nurses and welcome you to get in touch! This is a brilliant opportunity for a passionate RVN to join a welcoming team in their Surrey practice. You will be working either full or part time (depending on the candidate) with access to the main hospital which is exceptionally well-equipped! Not quite what you had in mind? We have a number of positions for vets and nurses across the UK and welcome you to get in touch! A lovely small animal practice in the heart of Surrey are looking for an experienced Vet Surgeon to join their welcoming team. The practice is purpose built and well equipped with fantastic facilities in which to develop you skills. This is a permanent position for either full or part time applicants, offering a great work life balance, no OOH'S and a weekend rota. The ideal candidate will be passionate and full of positive energy, there will also be some sole charge responsibility so confidence is key. You will be rewarded with a handsome salary alongside generous holiday allowance, CPD funding and company discount. An excellent opportunity has opened up at a well known practice in Surrey, for a confident RVN. A specialist oncology and soft tissue centre, with high tech facilities on offer. If you have previous experience in this area, that would be an advantage. 40 hour week with lots of opportunity to progress. A fantastic position has arisen in a sought after practice in Surrey. We are looking for a passionate Vet that can provide routine surgery and consultations. The practice has excellent facilities and is looking for an experienced Vet to help develop the practice.